By Antoine | November 6, 2010. 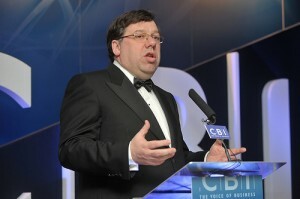 Brian Cowen was dealt another blow last night when it emerged just over one-in-ten people want him in charge after the next election. Labour Party leader Eamon Gilmore is the number one choice to be the next Taoiseach. Mr Cowen’s standing is down another seven points, with just 11% wanting him to be still running the country after the general election. Let’s see what people think about these results and more specifically about the man himself! We asked 10 different people their opinions on the current Taosieach resulting with a variety of opinions! They want him from the next election, because that s a good financial, but they want an direct election to evaluate the budget. They describe Cowen as a good lawyer, but a poor prime minister. He would like him for the next election, because he is the man to manage Irish problems. He doesn’t want him for the next election, because it’s the time for some strong action, and Cowen doesn’t have enough charisma to do that. He want him, because he judge him to be trustable and honest, for him his is not really the right choice, but at least the better choice between the worst one. He described him as a chancer. He describes him as incompetent and disorganised. So despite of the opinion pool, it seems that a certain number of people, still have interest about Cowen for the next election.